B.C. Pavilion Corporation (PavCo) is a Provincial Crown Corporation. 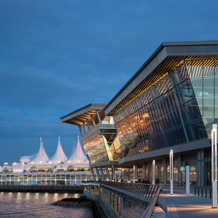 Committed to excellence from our values to our execution, PavCo owns and operates two world-class public facilities located in downtown Vancouver: BC Place and the Vancouver Convention Centre. 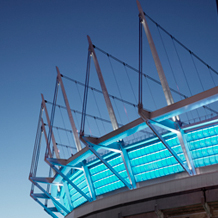 From hosting global summit meetings to world class sporting and entertainment events, PavCo performs on its mandate of generating economic and community benefit for the people of BC through the prudent management of its public facilities. PavCo attracts customers internationally and continuously strives to optimize the financial performance of its facilities, which generate significant economic benefit for the Province of British Columbia. To contact our facilities about rentals, sponsorship, events or other information, simply click on the appropriate facility image above. To generate economic and community benefit for the people of British Columbia through prudent management of public facilities. To be the global leader in outstanding venues and events. To deliver inspiring and sustainable experiences for our clients, guests and our community, by hosting conventions, entertainment, sporting and related events that meet their highest expectations. © 2004 — 2019 BC Pavilion Corporation. All rights reserved.